It’s always frustrating to go in for a routine dental check-up, only to be told you have a cavity. Cavities are small, sneaky, and potentially destructive – if left untreated for too long, they can grow to threaten the health of your entire tooth. The idea of having dark, metal-based fillings put in, though, can be a tough one to swallow, especially if you’ve worked hard to create a professional image focused around a flawless smile. Dark fillings are distracting and obvious, alerting everyone you come in contact with that you’ve had dental work done, which could lead to a variety of potentially embarrassing situations. Here in West Monroe, LA, we understand your hesitation – you deserve to be able to keep your teeth perfectly healthy and happy without having to sacrifice the cosmetic beauty of your smile. Thankfully, Dr. King Scott is committed to providing you with effective and personalized service that puts your needs first. That’s why he’s happy to offer tooth-colored fillings as a restorative option at his West Monroe practice. So what exactly are tooth-colored fillings, if they’re not made of metal? Simple – they’re made of composite resin, a silicon-dioxide mixture that can be blended and mixed in order to match the exact shade of your natural teeth. Composite resin fillings have several advantages over traditional metal fillings: for instance, only you and Dr. Scott will have any idea that they’re there at all, resulting in a perfectly healthy smile with zero of the embarrassment. In addition, tooth-colored fillings last just as long, if not longer, than traditional fillings, and actually work much better with your natural teeth, deterring further breakage as well as allowing us to keep more of the natural structure intact. Our team strongly believes in conservative dentistry – we want to help you hold on to as much of your original teeth as you can. 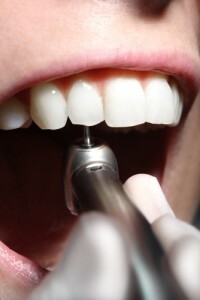 With tooth-colored fillings, we can accomplish that goal much more easily than ever before. If you have a cavity that needs treatment, don’t hesitate – Dr. Scott and his excellent team want to keep you safe and smiling with the help of composite resin, tooth-colored fillings. Call our West Monroe, LA practice today to schedule an appointment. We also serve patients from Ruston, Rayville, Farmersville, Columbia, Winnsboro, Delhi, South Arkansas, and all of greater North Louisiana.